I don’t understand boys. I don’t get their thought processes. When I need to buy something new to wear for work I’m filled with excitement at the challenge ahead – the drive to find the perfect outfit at a particular budget. It’s like The Krypton Factor, only better. But Mr ShoeThatAlwaysFits entire day has been ruined by the prospect of having to wear a dinner jacket for a job next week. The Fight | Flight | Freeze instincts have kicked in – 2 hours into ‘the dinner jacket episode’ we’ve already had the fight and flight instincts in abundance. My job is to make this easy for him, although I’ll never get him to enjoy it. I love shopping – I may have mentioned this once or twice already – especially when my little parcels of loveliness arrive at work like perfectly wrapped boxes of hope. 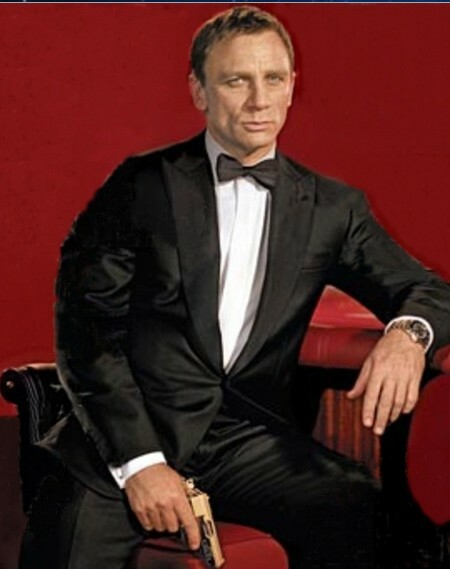 So, although I’m already on OBB (operation bikini bod) and the 30 day plank challenge (15 days in we’re at the 90 second mark), I have chosen to accept another mission – MDJoD (Mission Dinner Jacket or Die). We’ve already agreed that his 25 year old suit may not be up to the job, nor his Matrix inspired leather blazer. So we need to find a suitable alternative. Guess what I’ve been doing whilst he’s been taking out considerable aggression in the gym. I’ve found some good online options with next day delivery to boot. I’m now wishing that I could go too – I have a lovely little tuxedo jacket just dying to be worn again. I’ll never understand why this isn’t fun. What’s that I hear, a martini? Shaken, not stirred – you got it.